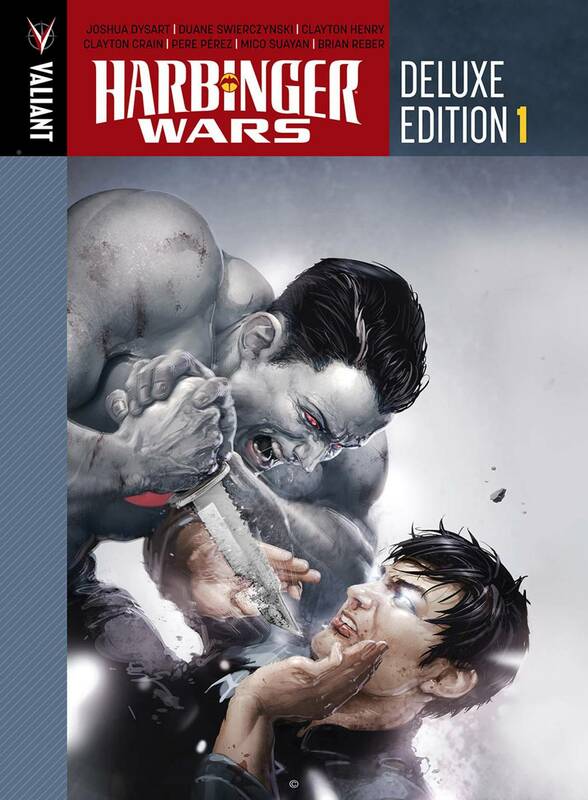 Re-presenting Valiant's best-selling crossover event in complete chronological order, the acclaimed Harbinger Wars saga gets the deluxe oversized hardcover treatment - with more than 20+ pages of bonus content and rarely-seen special features! When an untrained and undisciplined team of superpowered test subjects escape from Project Rising Spirit and onto the Vegas Strip, Bloodshot and the Harbinger Renegades will find themselves locked in battle against a deadly succession of opponents - and each other. As the combined forces of the H.A.R.D. Corps, Generation Zero, and omega-level telekinetic Toyo Harada all descend on Las Vegas to vie for the control of Rising Spirit's deadliest assets, the world is about to discover the shocking price of an all-out superhuman conflict...and no one will escape unscathed. Who will survive the Harbinger Wars? Collecting HARBINGER WARS #1-4, HARBINGER #11-14, BLOODSHOT #10-13 and material from the HARBINGER WARS SKETCHBOOK, the Harbinger Wars Deluxe Edition HC is the only place to find the complete story of the groundbreaking crossover that IGN calls "one hell of a ride."